They thought all the birds died out. They thought they had eradicated the disease. They thought everyone was safe. They thought wrong. MARYVILLE, Tenn. - Feb. 4, 2019 - PRLog -- Joe Moore, the popular author of Return of the Birds, is at it again. Just when you thought it was safe to search the skies again, Moore is writing the sequel to this frightening tale, and he is not holding any punches. The diseased birds return with a vengeance. For those who have not yet read Return of the Birds, the book's synopsis is this; The last attack happened more than 50 years ago in another sleepy resort-side village called Bodega Bay. Little was known about that attack since several of the principals involved either fled or died off soon afterward. The records were burned along with the dead birds. Could this be the same situation after all these years? Tory McKnight, a future ornithologist, working on a migration project, at first refuses to believe the reports she hears. Later she feels there must be a reason for what is taking place in the quaint Southern California town of San Clemente and begins to investigate. As things progress from bad to worse, more professional help is needed, But it may already be too late. For everyone who was left hanging with more questions than answers from the movie "The Birds," and for all those who like a good suspense-horror book, Return of the Birds will satisfy your cravings. Moore picks up his new story in Revenge of the Birds where he left off in "Return." 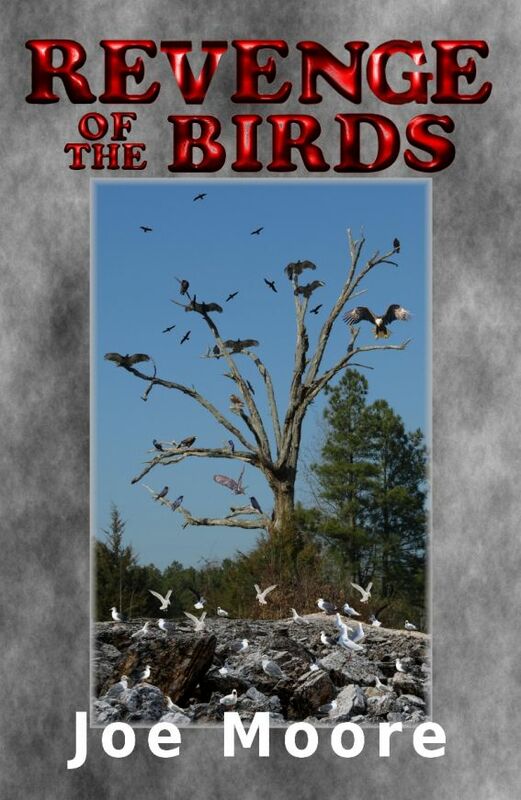 Revenge of the Birds will be released for publication on June 14, 2019, and will be available any place fine books are sold, in digital, hardcover, and softcover formats just as Return of the Birds is today. The North Pole Press is pleased to present the cover reveal for Revenge of the Birds. North Pole Press publishes Moore, who has written multiple books in a variety of genres. Samples of each of Moore's books and other authors are available at their website http://thenorthpolepress.com. Right now until March 4, 2019, you can get Return of the Birds at 15-20% off the normal price. Just visit our website above and click on bookstore to find this book on sale.